When running a business today, one of the most important factors that you need to take into consideration is productivity. In Brisbane, the sheer wealth of competition means putting in considerable work and effort in order for your organization to get noticed. Sadly, not everyone can put the time needed to market their business the way they want. It’s a sad fact that so many organizations have taken for granted the value of customer service, which many consider as the new marketing. Unfortunately, when it comes to marketing, especially with customer service, you cannot do it half-heartedly. The tone of your voice tells a lot to your customer. They can tell if you’re having a bad day, rushing to get back to your work, or happy and more than willing to assist them. For SMEs and startups, reputation is your greatest asset and should be your primary marketing priority. With this, we recommend that you take a look at using a Virtual Receptionist in Brisbane. Your business has such immense competition to try and break through, so it makes more sense to start working with a Virtual Receptionist during the early stages of your business. In terms of cost, it’s a lot better than hiring your own in-house receptionist. Not only does it save you from the high salary expense that you pay every month, but you can also save time from training your newly hired staff. Due to lack of manpower, businesses tend to multitask just to accommodate all the necessary work required to run their business, which sometimes could do more harm than good due to mediocre accomplishments. As the saying goes, “Work on your business, not in your business, ” which means you have to ensure that you’re working on more important things in front of you, rather than doing all the little stuff that could take away your focus on the bigger picture. 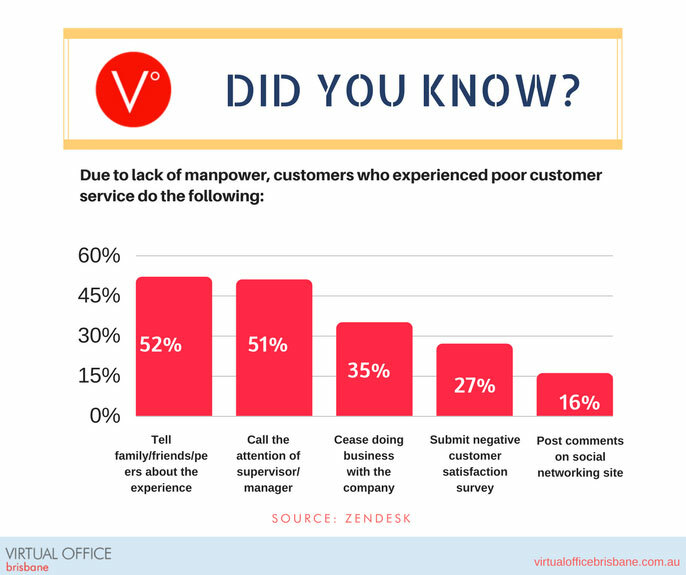 Clearly, good customer service is a top priority for every organization out there in order to achieve a positive reputation. So, let’s take a look at what a Virtual Receptionist in Brisbane is, what it can do for you, and why hiring one makes total sense. When it comes to improving how your business runs, it helps to have more people on your team who can effectively do their job. However, hiring the right staff is a skill within itself and many business leaders aren’t quite the talent scouts they want to be. In a bid to help you get around that issue, we recommend that you take a look at hiring a Virtual Receptionist for all your telephone answering needs. A Virtual Receptionist does all of the same things as an in-house receptionist. The difference is that they do not have an office or a desk at your premises and they work remotely from their own location. However, this is not a bad thing – in fact, it’s far from it. Mostly, what you’re paying here is their expertise, professionalism – knowing that they could handle the job effectively as the frontliner of your business. They may be physically away from the location of your office, but if they are the ones who could effectively connect with your customers compared to an in-house receptionist, then there’s no reason why businesses shouldn’t consider hiring one. At the end of the day, it’s all about who’s doing their job in the most effective manner. The need to present the most professional voice possible cannot be emphasized enough. It’s the result of endless trainings on how to handle each type of customer, a specific situation during a conversation, how to properly approach a specific incident as it happens and the likes. When you’re busy doing work, then you’re going to be in a position whereby answering the phone might be tough. Imagine the momentum it takes just to get back with what you’re doing just because you answered the phone. By the time you’re getting your groove back to finish your task, the phone will suddenly ring again, leaving you without any choice but to answer it again. This is not only applicable to business owners, but most especially to your staff. 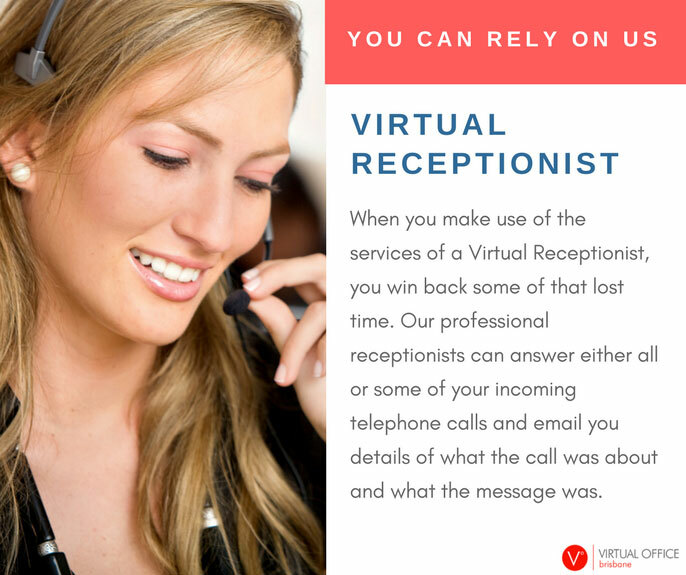 If your business happens to experience it, you should look to hire a Virtual Receptionist as soon as possible. Essentially, when someone contacts your business for help or support, they will now speak to your new professional. Courteous and polite, they offer a much more open and friendly way to get people engaged with your business. They talk with clarity and make their point easy to understand. They also make sure that you’re much closer to giving people the same universal message. When you’re answering the calls on your own, you can spend more time than you wanted trying to convince a client to take your product or service, which ultimately leads to hard selling. Untrained in-house receptionist and office staff normally doesn’t have the most diplomatic tone, leading people to believe that they’re unhelpful or unfriendly - this isn’t something you want to ever be accused of. By acting as the first port of call for your business, they can make sure that people feel comfortable interacting with your business. From offering a happier voice of reason in a support call to being the polite individual who gets someone to leave contact details, Virtual Receptionists can work its magic for your business. How Does Virtual Office Work in Major Cities Like Brisbane? They say the only constant thing in this world is change, and when everything around us changes, the world evolves and people will slowly adapt to it. This is how technology shaped us through the years. Technology changes our lives and the generations that will come after us. With the improvement of Internet and the way we incorporate it into our lives, it is no surprise that more businesses are considering running their operations from home, from multiple locations around their country, or even overseas through the help of the Internet. Technology has helped businesses to work in a virtual environment from anywhere around the world. Your team members can be working from any location they desire and still be able to collaborate and work together to reach your company’s goals. In today’s time, technology is so advanced that it even allows you to work anywhere – from your house, your car, coffee shops, and even while you’re on vacation. Most companies who opt for Virtual Office services have set up a small office space in their home that is free from distractions as the base of operations while the Virtual Address is just a professional representation instead of using a home address. As long as everyone on your team has access to the Internet, communication is a breeze and operations run smoothly. 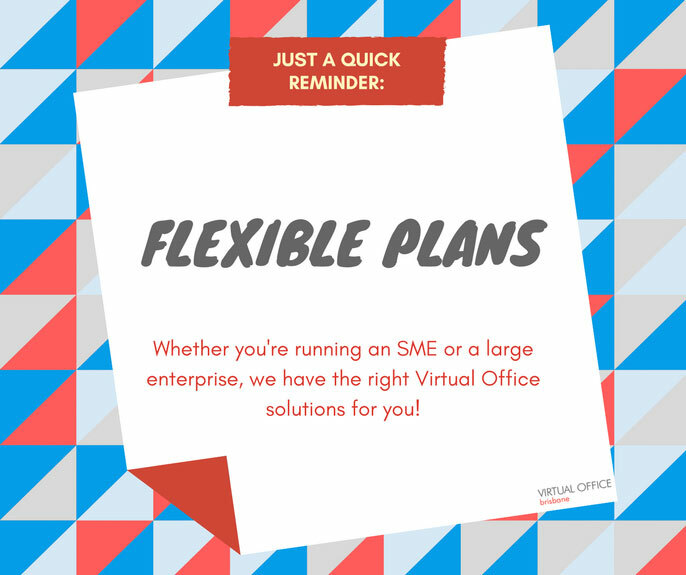 But how does Virtual Office works in a Brisbane Central Business District (CBD)? For most businesses, especially for startups, you would want to minimize your cost by starting your operations at home since you do not have a steady flow of income yet. But you still want your company to look professional in the eyes of prospective clients by providing them an office address preferably in a CBD area instead of a residential address. This is where the Virtual Office will come in. Your physical office can be anywhere, but your clients will not know about that since you will provide them a Virtual Office Brisbane address, which will give them the impression that it is the same location where you’re also conducting your operation. In case your clients need to mail a document to your office, they can send it to your Virtual Address. If you want to level up your business, you can also avail some of the services being offered like Virtual Receptionist, Virtual Assistant, and 1300 numbers when you need it. 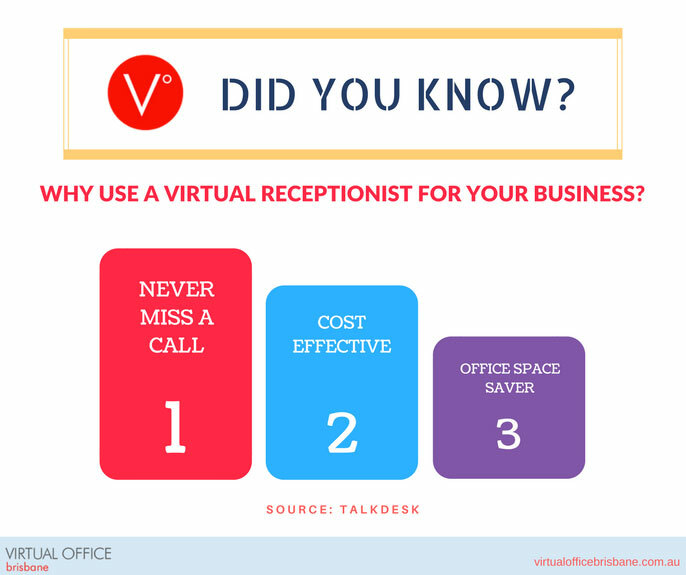 Why Use a Virtual Receptionist for Your Business? Now that you’re familiar with the service, we’re enumerating some of the countless reasons a Virtual Receptionist can help your Brisbane business. By not consuming any space in your physical office, you ’ll be able to use it to hire additional help for other areas of your business. When you hire someone virtually, they work remotely from their own position, which means you don’t need to find a location for them to work from. It’s so frustrating to miss your own deadline due to the fact that you cannot do your job effectively because of doing other tasks that takes too much of your time. A Virtual Receptionist in Brisbane will help you to stop that from happening – at least on the call answering side of business. Indeed, they are far more affordable than hiring a full-time employee. In fact, the monthly expense that you pay each month when you compare the two is not even close. An in-house receptionist will cost you five figures in salary, while a Virtual Receptionist would only cost you around $50 in a month. Even if you double that cost to cover for a very busy period, the work they can bring you by getting every call is far more profitable. This means that you are making the spending in your business far more regulated and efficient. You don’t need to pay for holidays or anything of the like; you simply hire the VR and pay him/her as and when you need their service. Not only does it help to minimize your expense, but they also help you to increase your revenue. With the effectiveness of using professional Virtual Receptionists, you increase your chances of converting each inquiry into a sale. The growth in revenue can be used for any anticipated business expansion – thanks to the help of your trusted VR. The service that you offer can automatically become more specific and branded than ever before. A service is going to be far more reliable when it has that one universal voice that is literally a professional at answering the phone. As mentioned earlier, a professional approach of doing customer service will gradually help your business to achieve the reputation that you want your business to achieve. For businesses that still don’t have an office in Brisbane, a Virtual Receptionist can give your organization the presence that you’re looking for. When you hire a telephone answering company to answer calls for your organization in locations that you’re still considering to explore, it would give your prospective customers the impression that your business is already operating in full capacity in the location that you have chosen, where the actual job could be implemented in your main location. With this, you’re far more flexible with a Virtual Receptionist in Brisbane. They can make sure you have someone when you need them, but you can easily leave their services during quiet times. Basically, they work only when you need them involved. You will therefore be far more likely to outdo your competition when you have every call answered, making it much easier for you to close more deals and build your brand in the process. Not only does it allow you to stand out from the competition, but it also allows your customer service to improve and make your business more appealing. Using a Virtual Receptionist will ultimately give you the peace of mind that there’s a part of your business that’s working effectively without being micromanaged. With this, your team could put the necessary effort to other areas of your business in order for your business to grow faster. You may be wondering, is there an overlap between the job scope of a Virtual Receptionist and a Virtual Assistant? 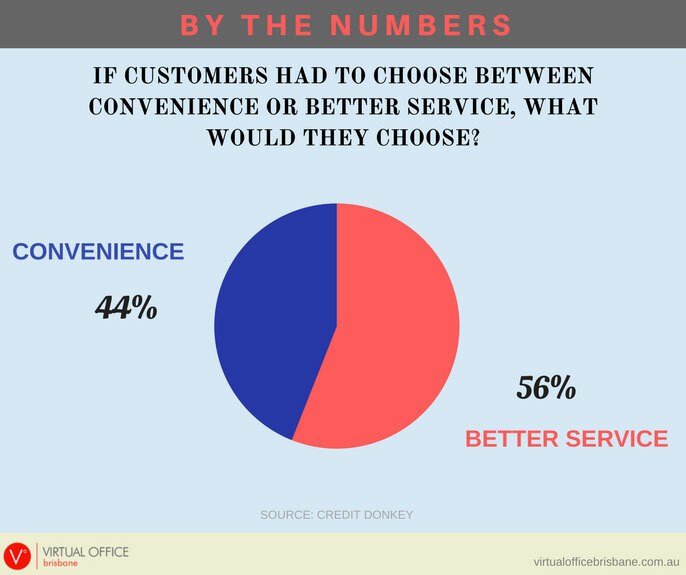 Well in the context of the Answering Services that we offer, yes there is, as in both cases our receptionists answer the phone but the tasks they perform within each service can be quite different. To make sure that you engage the most appropriate resource, this simple guide should make sure you are well and truly on the right path. What are the main differences that you should look out for? 1. A Virtual Receptionist performs the same role as you would if you or your inhouse receptionist answered your own calls. Except, she is not located in your office. By not being in your office, this also means your VR cannot physically meet and greet clients who walk into your office. So if you need “meet and greet” in your office, we cannot assist you with that, but we will happily answer your calls promptly and professionally every time! 2. Our Virtual Receptionist service process involves our professional, friendly staff answering the phone in your company name, exactly as you decide, introducing and transferring the call to the relevant department or staff member (if their settings are set to “Available for Call Transfer”) or taking a message which is emailed and/or sent by text to the right recipient (if a staff member’s settings are set to “Do Not Disturb” or they are unable to take a call when the receptionist introduces it to them). We can also answer basic questions a caller might ask, such as your web site URL, your address etc. Each call takes about 60 seconds as a general rule on this service. And our plans are priced to reflect that i.e. Standard Plan is $20 a month plus $2.80 per call or 20 calls a month is $50, 50 calls a month $115 etc. 3. With the Virtual Assistant service, you as the client impact greatly the time a caller might be on the phone with our receptionist, by deciding what questions you would like our staff to ask the caller, and gathering all that information for you. We have complex scripting functionality that allows for our virtual assistant team to ask as many questions as you would like, to whatever complexity you desire with the output being to complete and submit custom forms or detailed messages. For many clients this data is imported or fed directly into your CRM for action. With this service you pay on a timed basis at the rate of $1.60 per minute. So if a call takes 5 minutes to ask questions and collect a heap of answers for submission, then you pay for 5 minutes. Many of our clients with sophisticated sales qualification questions use this service because they might only receive 5 or 10 calls a week and this means there is a receptionist always “on tap” 24/7 so they never miss calls and answer every sales call promptly and professionally. 4. Aside from our VA service, some clients need a Virtual Assistant who can do more than answer the phones and collect and submit data. They might require bookkeeping services, which we do not do. But our team also performs a lot of other tasks a traditional VA performs such as Diary Management. So before you spend money hiring an inhouse receptionist or virtual assistant, consider the possibility of outsourcing the “call answering process” and the “sales qualification process” to an organisation like Virtual Office Brisbane. That way you only pay for what you really need making it economical plus it allows you to focus your efforts on higher value tasks like closing sales and providing superior levels of customer service. Which are the key drivers of higher profits. Is it Better to Hire a Virtual Receptionist than a Traditional In-House Receptionist? A Virtual Receptionist is a great option for SMEs and startups, but many people are still unsure if they should hire virtually or go with a good old in-house receptionist. In a bid to help you make the right call, we’ve taken a look at the challenges that exist within hiring a traditional in-house receptionist, and why hiring a Virtual Receptionist is going to be far more likely to give you something worth your time and money. Traditional in-house receptionist will be working full-time for you. They’ll do a Monday-Friday, 40-hour workweek. That is a huge time outlay for many smaller businesses, and is likely to cost you in the region of $30,000/year – or more. As such, paying that kind of sum might be beyond you. Instead, you can hire a Virtual Receptionist. They are better for the costing as they only work when you actually need them. They aren’t on some big grandiose schedule that is going to cost you day-in, day-out. They are only paid for the hours you agree they should work. 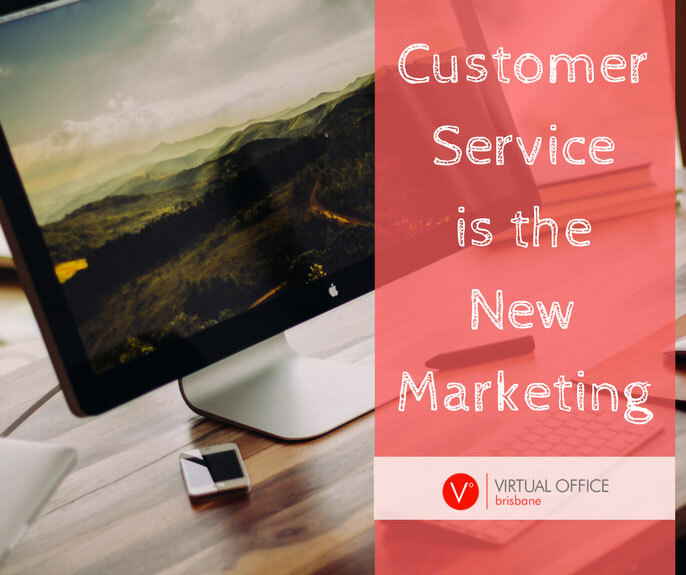 With that in mind, it becomes much easier to see why a Virtual Receptionist makes sense; they save you having full-time staff when it is not needed. They cost you per shift, not per year, which naturally can make the whole process a lot easier to afford. At the same time, you should be looking at the availability. A normal receptionist works the hours that you do – a standard working day – and is off-duty when their shift ends. A Virtual Receptionist will be able to work more hours for you or become your outbound expert who works after hours to make sure you never miss a beat. If your business wants to remain productive without excessive costing, this will make that very easy for you indeed! There are many considerations to take into account when hiring a Virtual Receptionist in Brisbane. Your business needs to get more help if it wishes to succeed, and as such you should be doing everything within your power to build a structure to make that possible. With the help of a Virtual Receptionist, you can portray your business in the best light while taking advantage of getting more free time to relax, strategize, or to work in peace. If you want your business to be represented properly, then hiring a Virtual Assistant makes perfect sense.